Did the National Assembly Cut or Increase the National Cake? 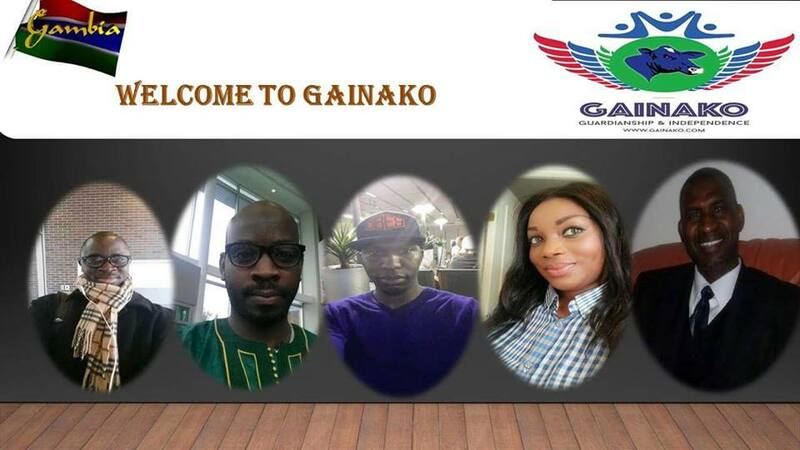 You are at:Home»Editorial»Did the National Assembly Cut or Increase the National Cake? 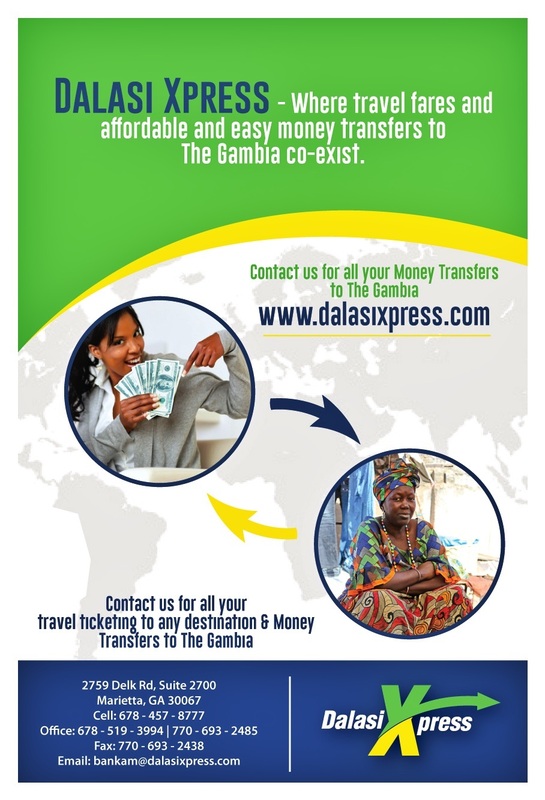 “If the National Development Plan is the vehicle to drive The Gambia towards destination NewGambia, then the National Budget is the fuel to propel this vehicle towards this utopia.” This is the second article on the 2019 Approved Budget which compares the Estimate vs the Approved Budget to understand the adjustments made. 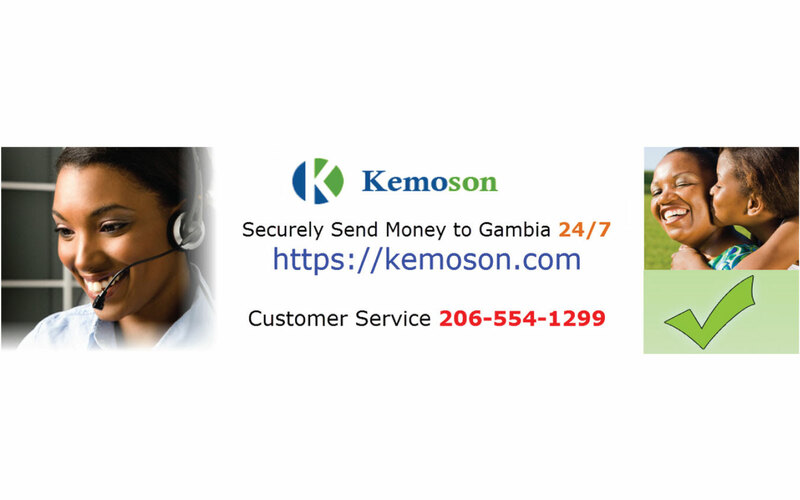 The Gambian Economy is heavily dependent on Foreign Aid and regularly requests for additional funds to finance its activities for the Fiscal Year. Last year the Executive announced a blanket salary increase of all Civil Servants by %50, raising the question, “where will the Government get the funds to pay for this blanket salary increase?” Already citizens have begun observing tax increases on basic goods such as flour, potatoes, onions, cement, and even alcohol. 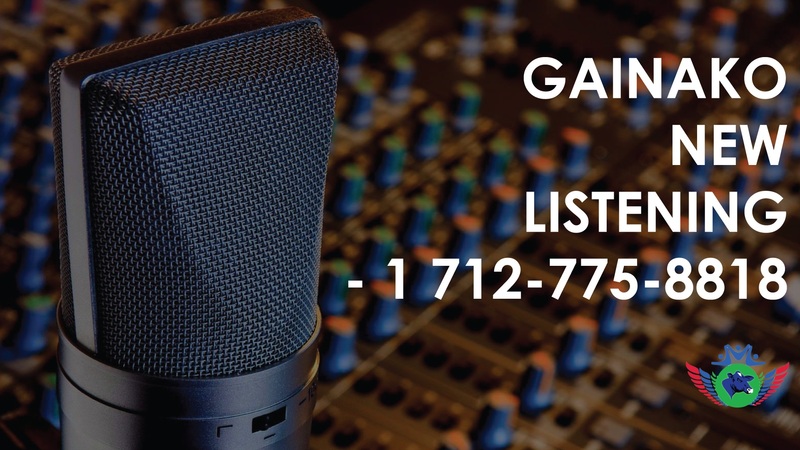 It remains to be seen what the complete list of tax increases are and how they will affect the diminishing disposable income of middle to low-income earners. Nonetheless, an important role of the National Assembly is to scrutinize the National Budget and make adjustments where necessary. To quote the National Assembly Member from Serrekunda, “The National Assembly should not pretend to be innocent you cannot have the knife and the bread and claim that you don’t know where to cut or blame somebody else for not cutting where you should cut, the starting point is to understand the functions of this very National Assembly”. 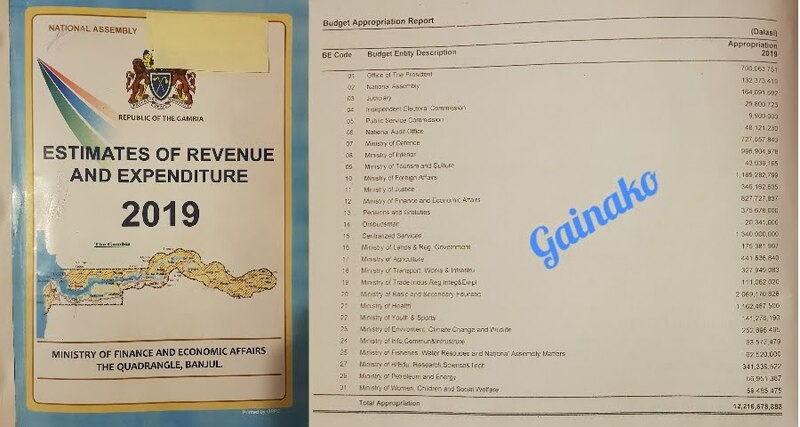 Below is a comparison of the 2019 Budget Appropriation Report from its Estimate stage to the Approved stage. It can be seen that a grand total of D85 Million has been added to the Total Appropriation Budget for 2019. The 2019 Estimate does not include the Debt Services, seen as item 50 in the 2019 Approved Budget. For the purposes of the comparison table below, its assumed the Debt Service was not changed from Estimate to Approved stage. It can be seen that the allocations of the Ministries of Foreign Affairs, National Audit Office and Finance and Economic Affairs has increased by D68 Million, D11 Million, and D9.4 Million respectively. 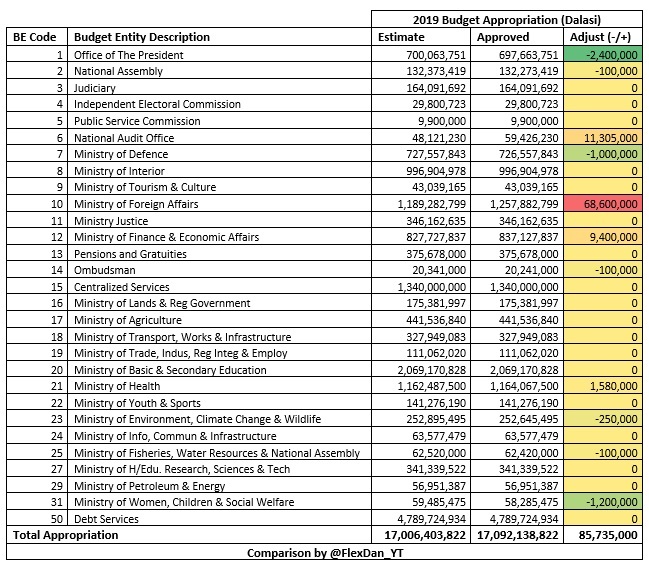 Meanwhile, the biggest cuts from the 2019 Budget Estimate are the Office of the President (-D2.4 Million), Ministry of Women, Children & Social Welfare (-D1.2 Million) and Ministry of Defence (-D1 Million).